People who are overweight in early adulthood and become obese in later life are three times more likely to develop cancer of the oesophagus or upper stomach, new study results suggest. 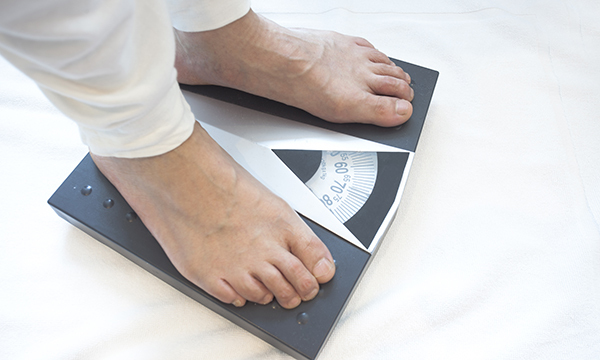 Researchers in the US looked at data from more than 400,000 people, analysing their reported height and weight at ages 20 and 50 and at the start of the study. Participants were then followed up on to see who developed oesophageal or stomach cancer. The study authors found that those who first reported being overweight at the age of 20 were 62%-76% more likely to develop these cancers in later life, compared to those who maintained a healthy weight throughout life. The study also found that people who gained more than three stone (20kg) during adulthood were twice as likely to develop oesophageal cancer compared to people who had little weight change. people are diagnosed with oesophagus and upper stomach cancers in England every year. ‘Carrying excess weight can trigger long-term reflux problems and heartburn that can lead to cancer. It can also change the levels of oestrogen and testosterone, cause levels of insulin to rise and lead to inflammation, all of which are factors that have been associated with increased cancer risk,’ said lead study author Jessica Petrick. Petrick JL et al (2017) Body Weight Trajectories and Risk of oesophageal and gastric cardia adenocarcinomas: a pooled analysis of NIH-AARP and PLCO Studies. British Journal of Cancer. doi: 10.1038/bjc.2017.29.